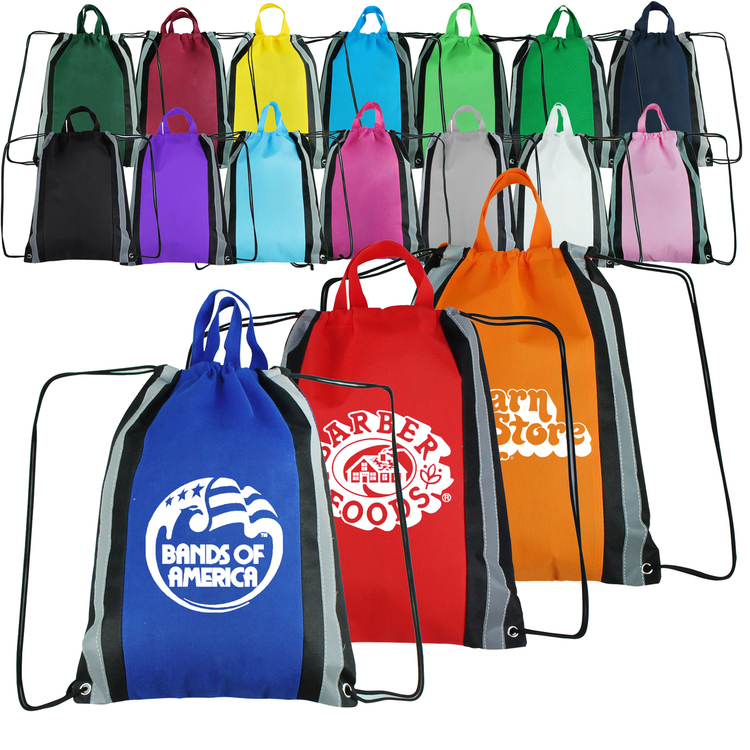 All-Purpose Drawstring tote pack made of nylon 210D. 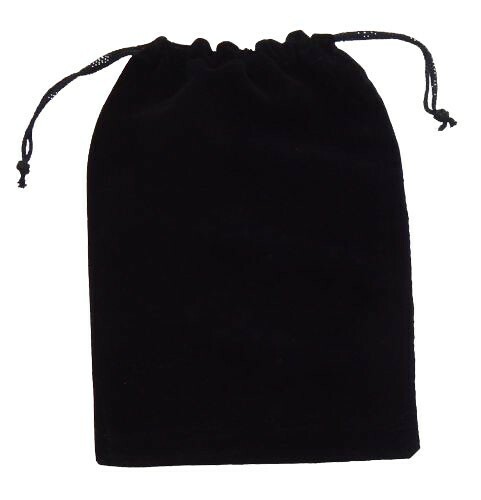 6" x 9" Black Velveteen Pouch with Drawstring, drawstring gift bag. 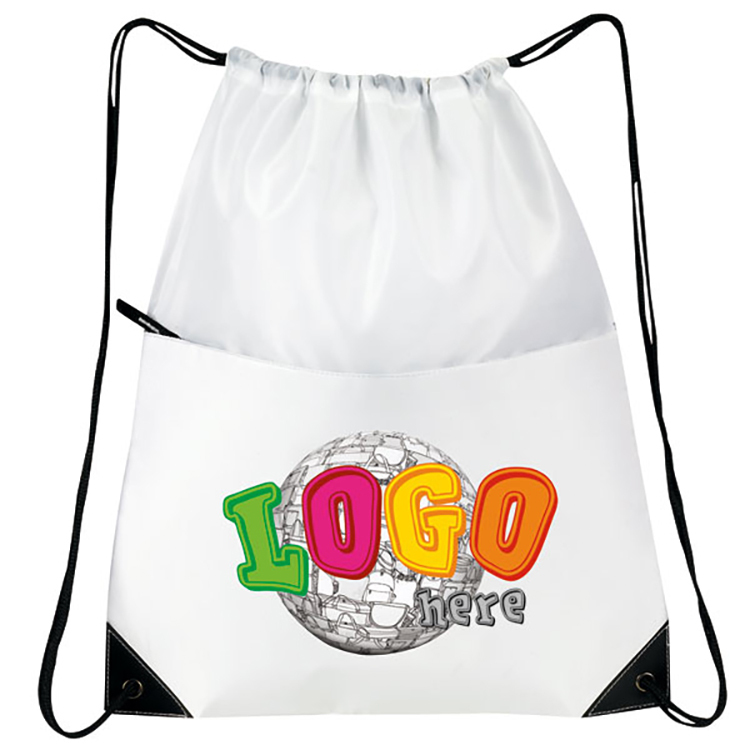 Manufactured with reusable materials, these non-woven drawstring backpacks are ideal promotional giveaway items for trade shows and conventions. 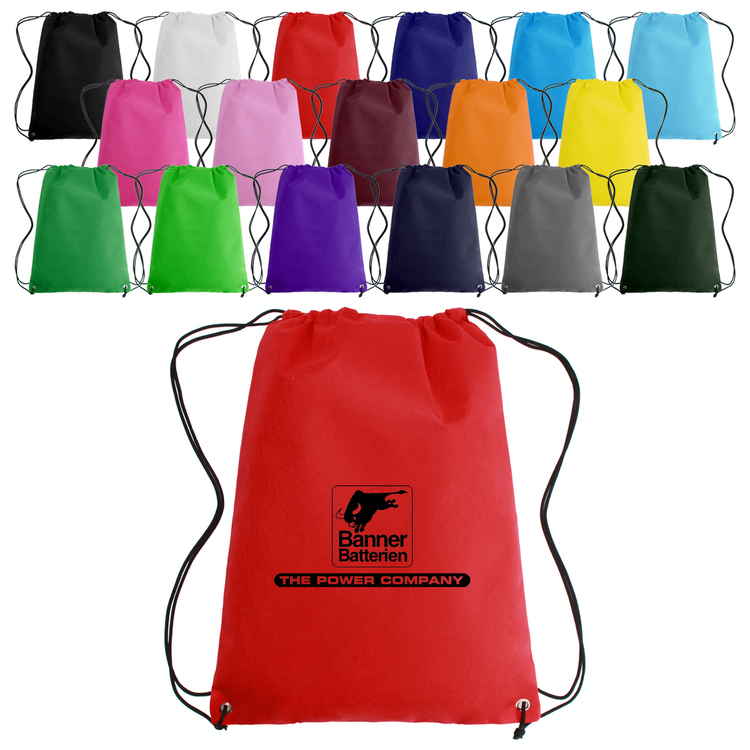 Available in a variety of colors that include black, blue, orange, purple, red and yellow, green, white and more, these personalized drawstring backpacks are sure to accommodate to your advertising theme. Large imprint areas also really make your logo stand out. Order today and receive free shipping on your orders. Feel free to contact our customer service team should you have questions. It complies with Prop 65. 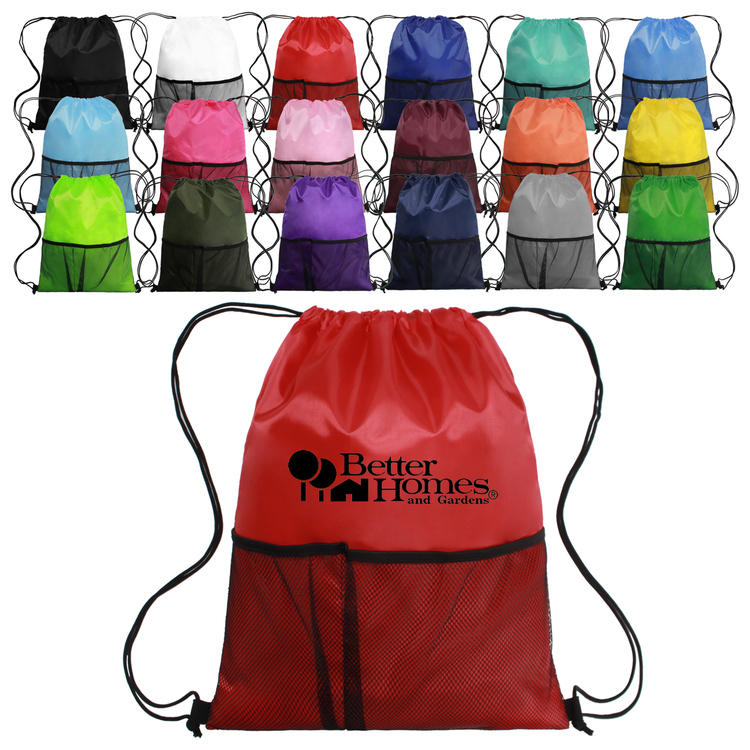 This versatile drawstring backpack is made of 210D polyester material and measures 13.5" W x 16.5" H and with two convenient front mesh pockets.Store your locker key, music player or small items in the front mesh pocket.Keep your water bottle in the neighboring mesh pocket. 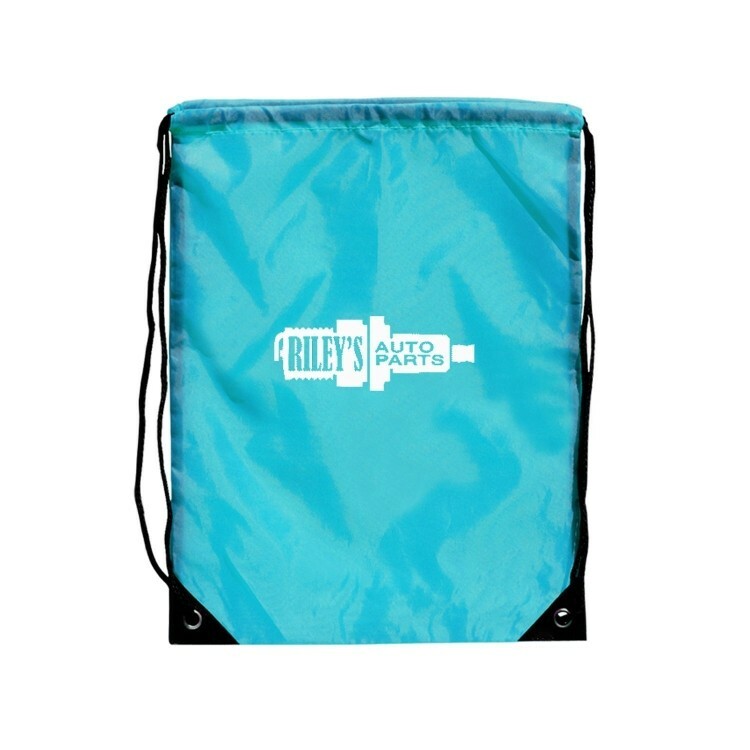 Features eye-catching gray contrast piping that draws attention to your logo. It complies with Prop 65. 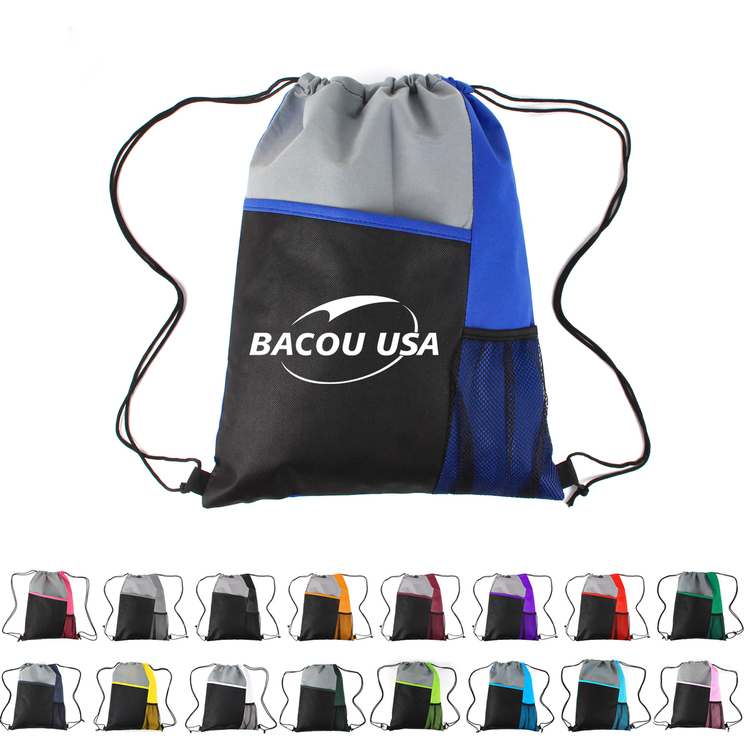 Manufactured with eco-friendly non-woven fabric, and crafted with large reflector stripes, these backpacks are Ideal for bikers, hikers and travelers. 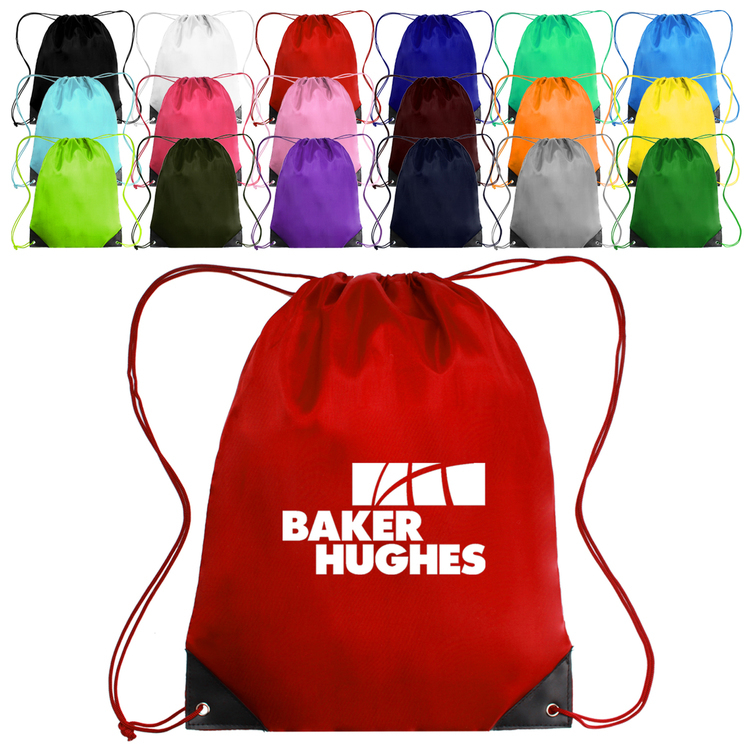 These drawstring backpacks also feature a carrying handle on top for ease of grip and bottom metal eyelets to ensure a long lasting. 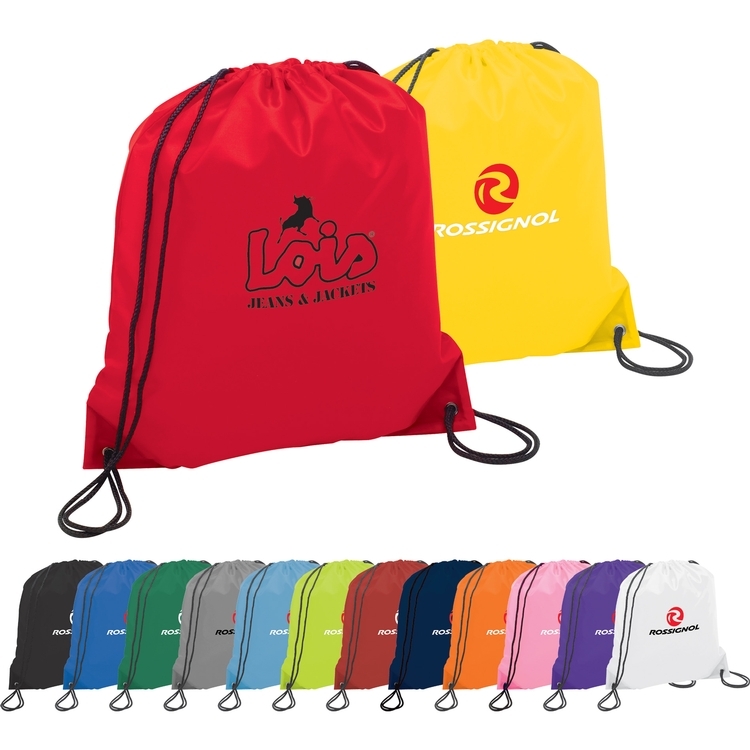 Available in a variety of colors that include black, blue, orange, purple, red, green, white and yellow, these drawstring backpacks really make your logo stand out. 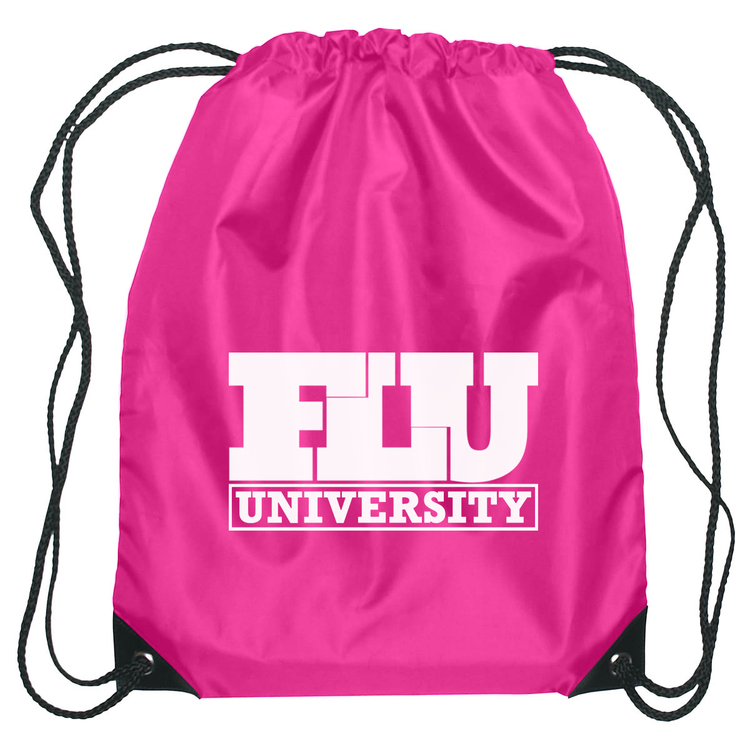 A proof of your screen printed drawstring backpacks can be sent to you upon request. Order today and receive free shipping on your orders. Feel free to contact our customer service team should you have any questions. It complies with Prop 65. 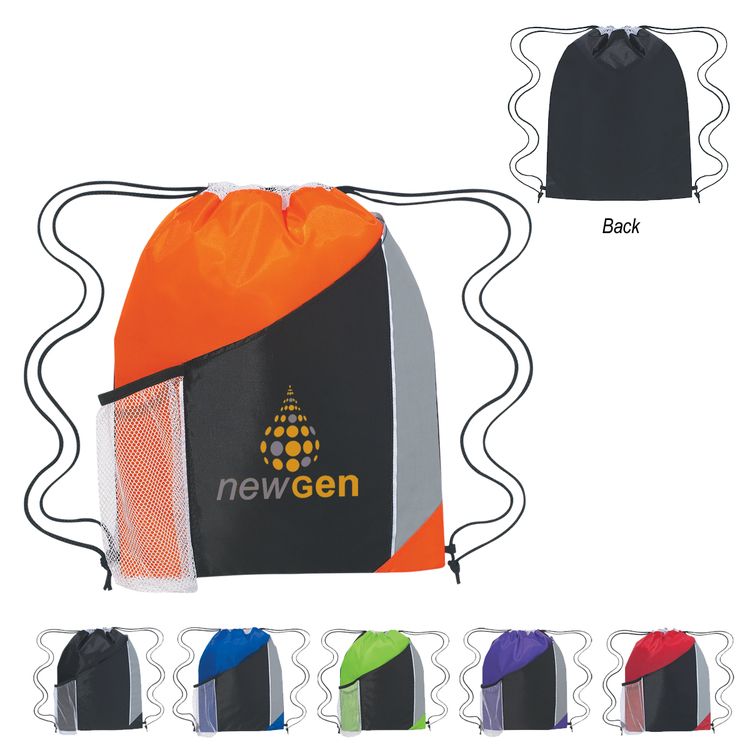 Manufactured with strong polyester material, and crafted with large reflector stripes, these backpacks are Ideal for bikers, hikers and travelers. 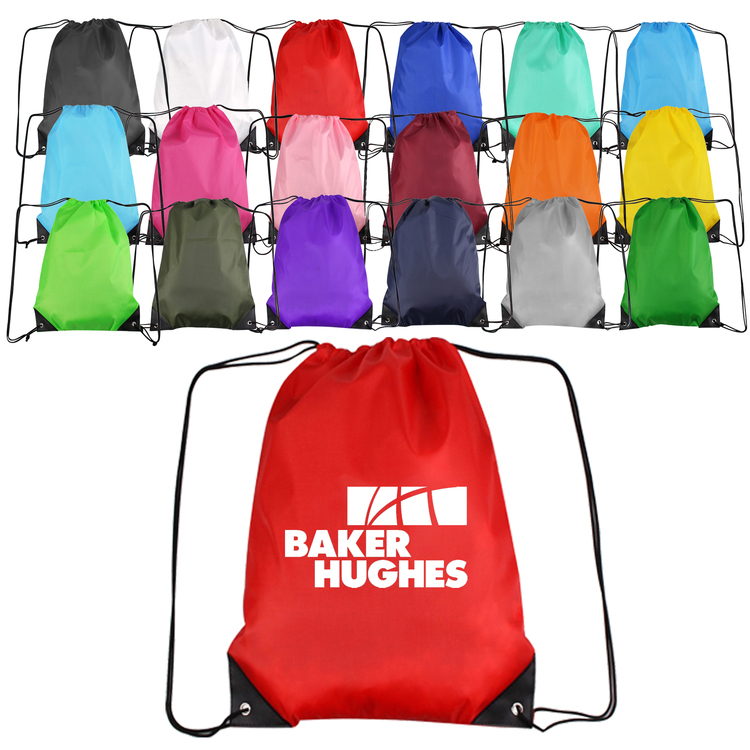 These drawstring backpacks also feature a carrying handle on top for ease of grip and bottom metal eyelets to ensure a long lasting. 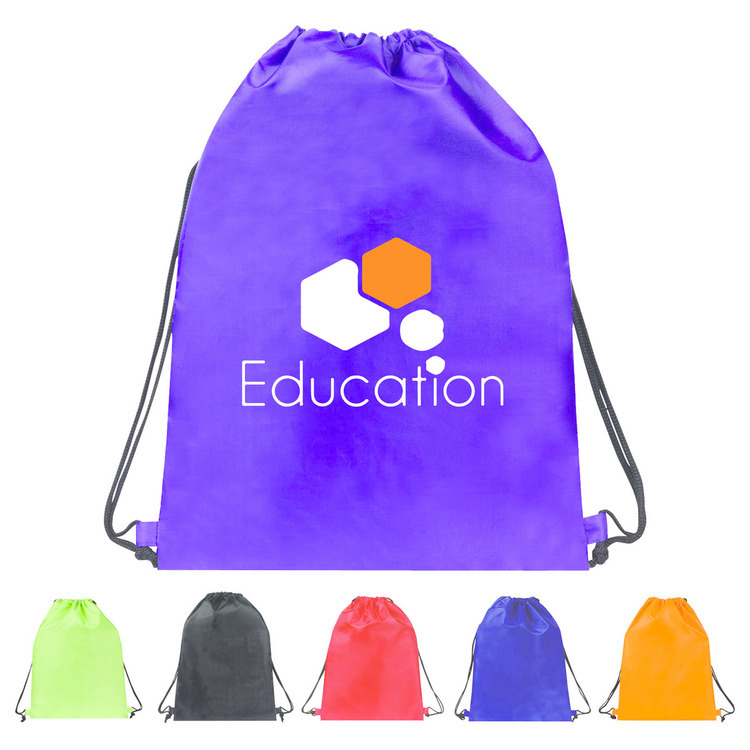 Available in a variety of colors that include black, blue, orange, purple, red, green, white and yellow, these drawstring backpacks really make your logo stand out. 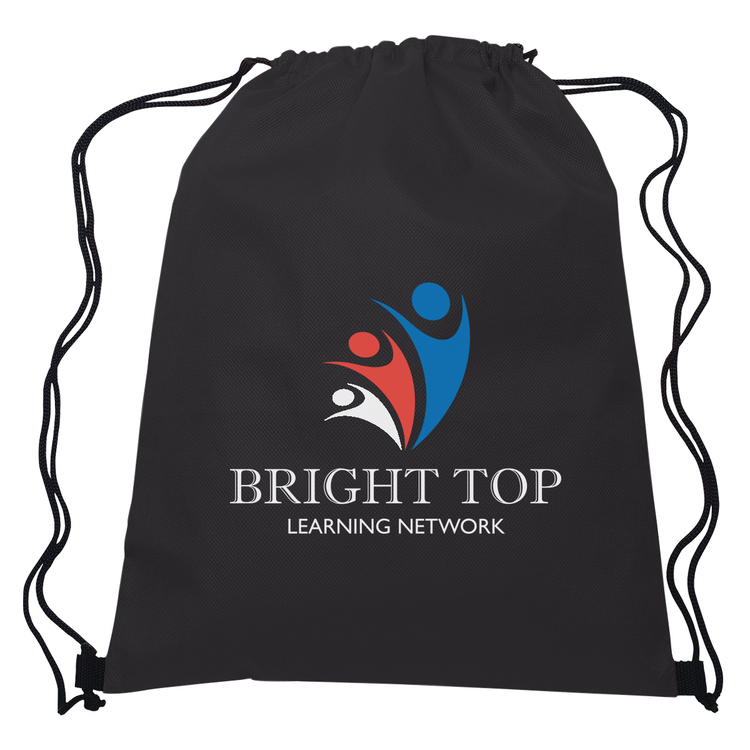 A proof of your screen printed drawstring backpacks can be sent to you upon request. Order today and receive free shipping on your orders. Feel free to contact our customer service team should you have any questions. It complies with Prop 65. Made with 210D polyester materials, and reinforced with bottom eyelets, these reflective backpacks are durable and long lasting. 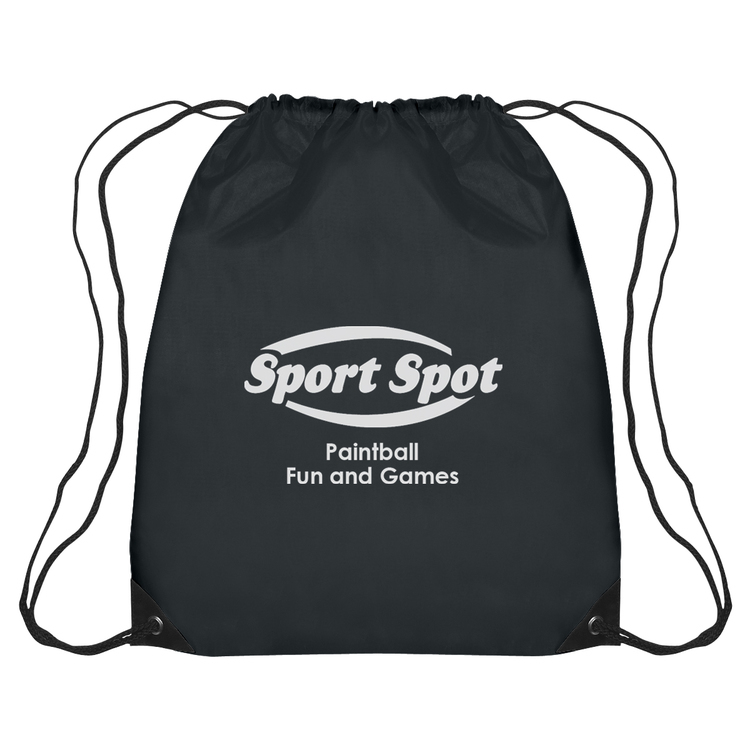 These drawstring backpacks also feature a carrying handle on top for ease of grip. 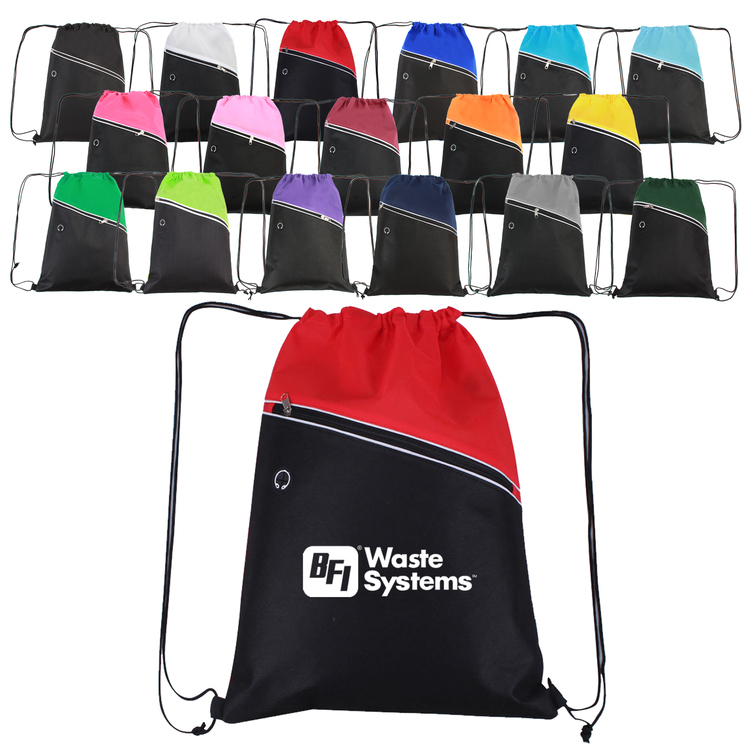 Available in a variety of colors that include black, blue, red, green and more, these personalized drawstring backpacks are sure to accommodate to your advertising theme. 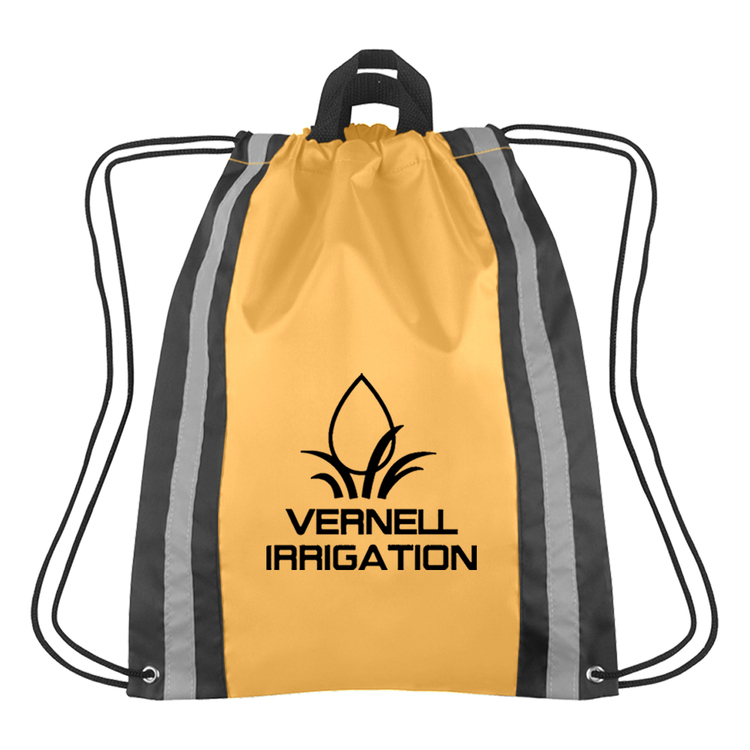 A proof of your screen printed drawstring backpacks can be sent to you upon request. Order today and receive free shipping on your orders. Feel free to contact our customer service team should you have any questions. It complies with Prop 65. 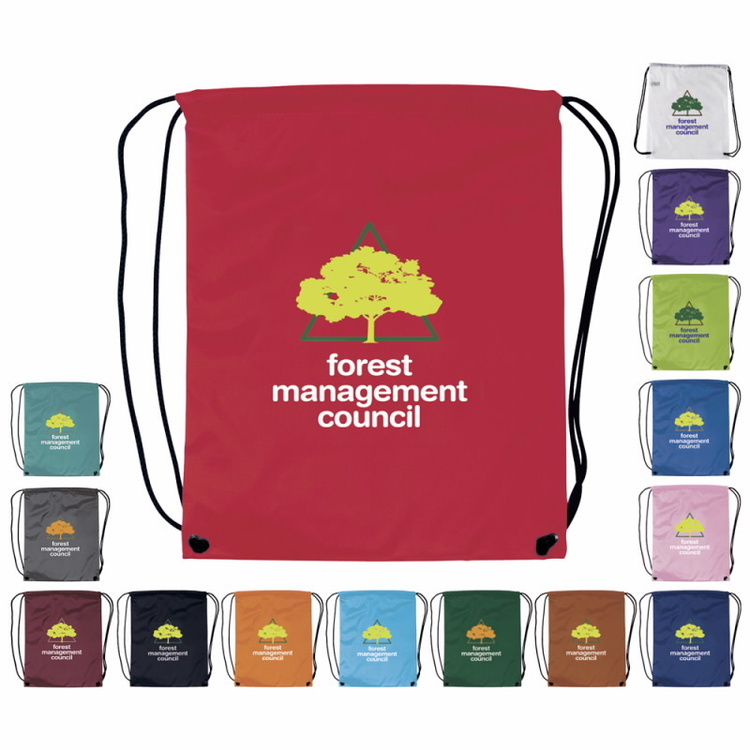 Manufactured with 80gsm non-woven polypropylene, these customized drawstring backpacks are suitable for all kinds of events. It features black mesh side pocket and black string shoulder straps and it definitely can get your business the attention it deserves. 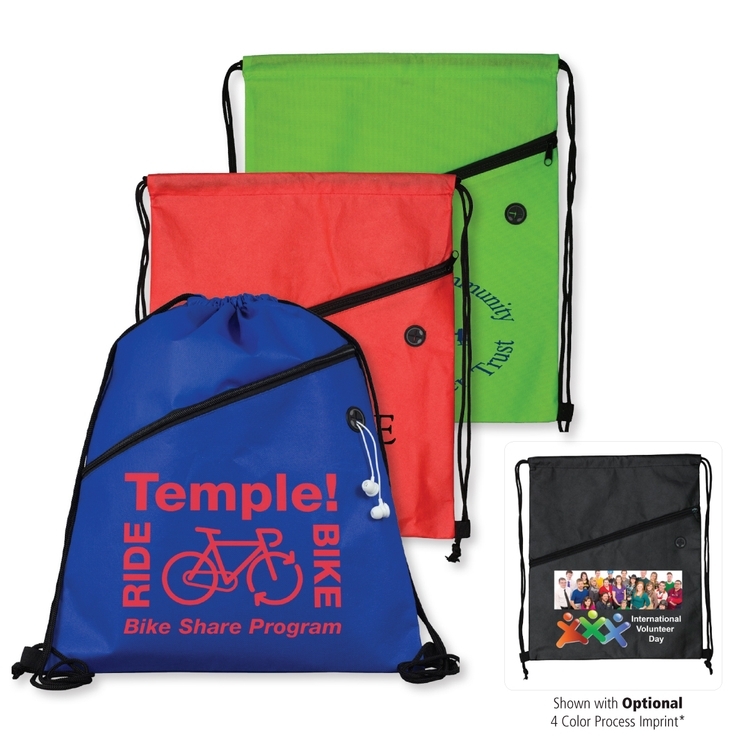 With a unique three color design, these cheap drawstring backpacks are effective promotional tools. It complies with Prop 65. 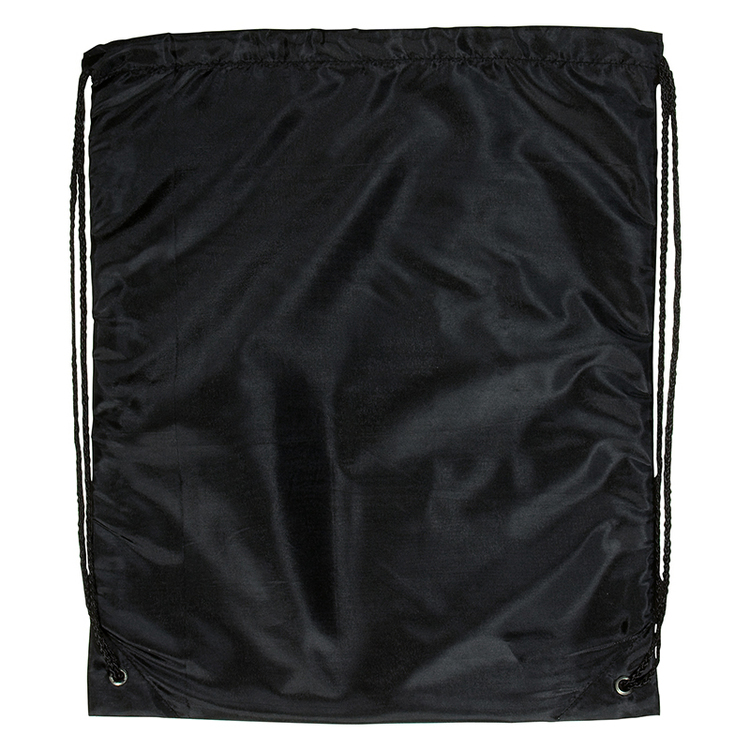 Perfect for school, workouts or walking about town, these non-woven two-tone drawstring backpack is suitable for numerous public occasions. 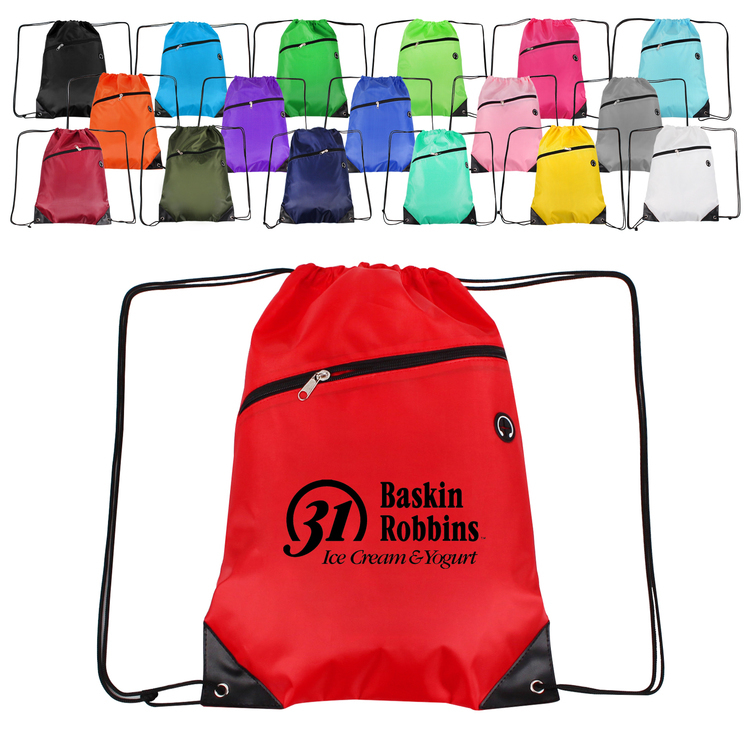 With adjustable drawstrings that seal the main compartment, our wholesale backpacks can carry accessories from clothing and shoes to sports equipment and water bottles. 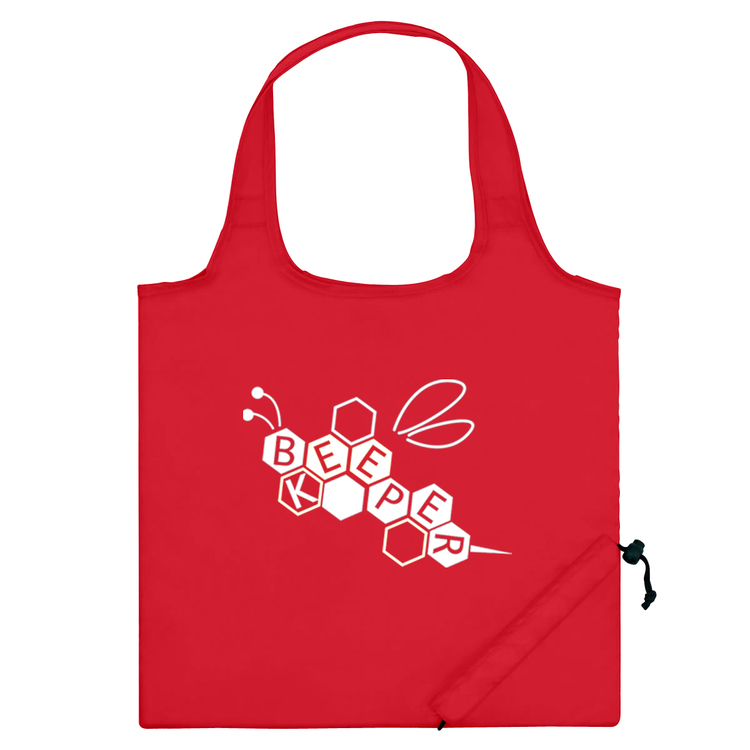 These backpacks also feature a convenient large front zipper pocket, and mp3 headphone port on front. 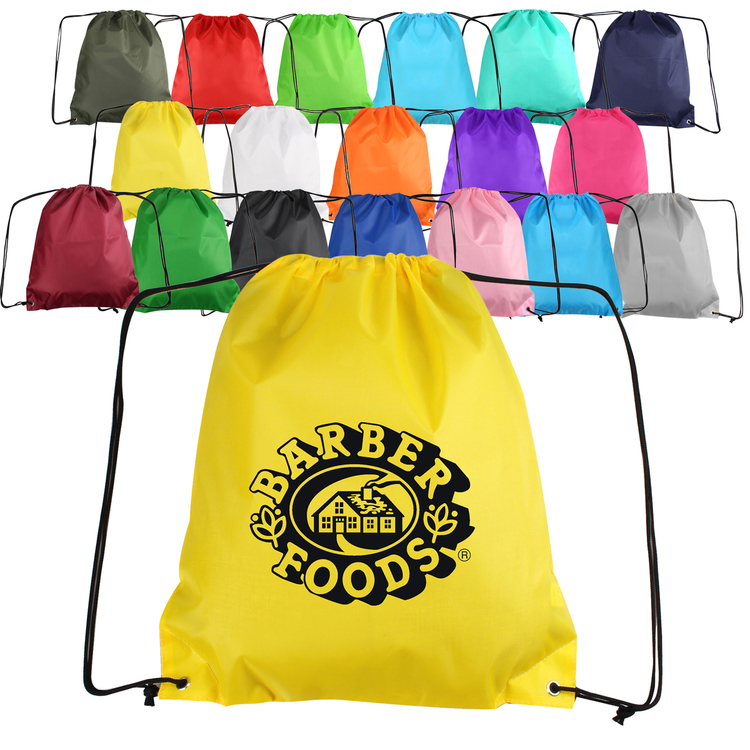 With bright color available in blue, green, black, orange, red and yellow, our wholesale backpacks are sure to turn heads everywhere they go. Order today and receive free shipping on your order. Contact our customer service team should you have any questions.It complies with Prop 65. 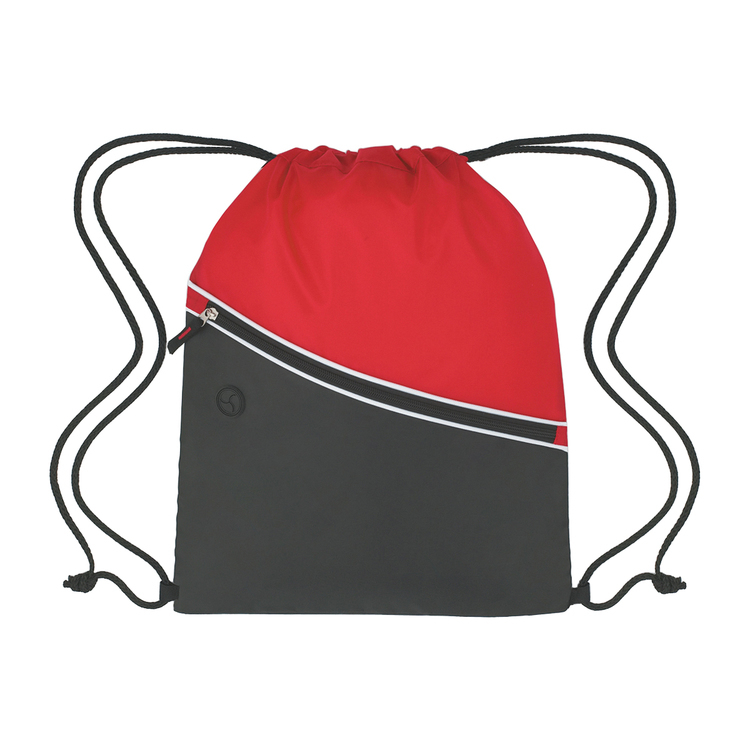 This drawstring sports backpack is made of 210 denier polyester with contrasting simulated leather reinforcement black trim at corners. Size: 14" x 18", fit for most of people. 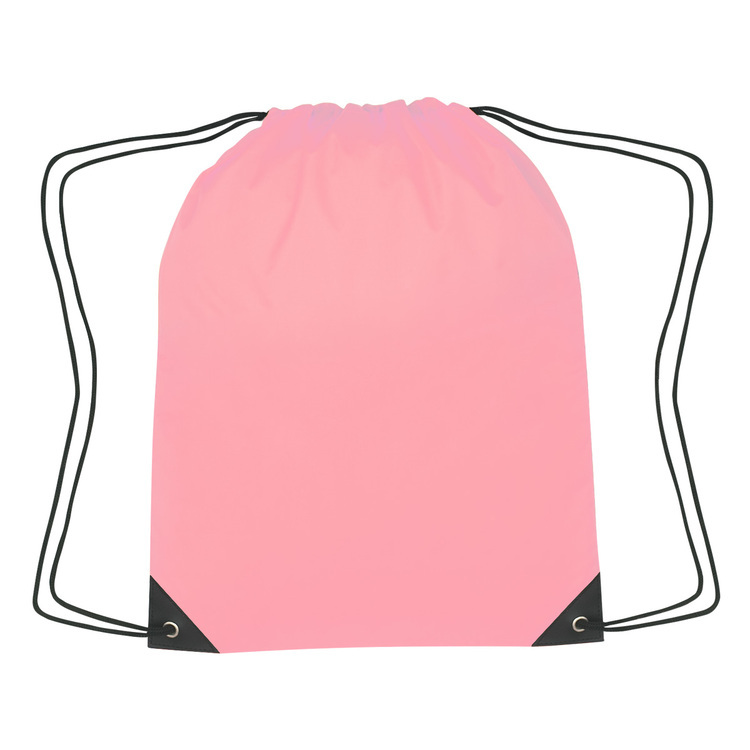 Reinforced eyelets make the drawstring bag very durable and easy to carry like a backpack. 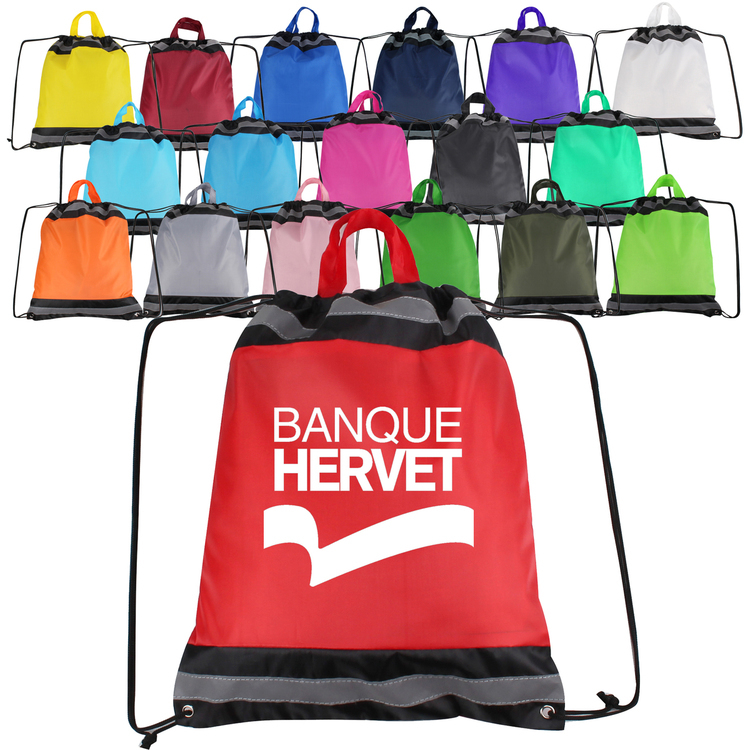 Provide large imprint area for your customer’s logo, good choice for a lot of promotional occasions. It complies with Prop 65. 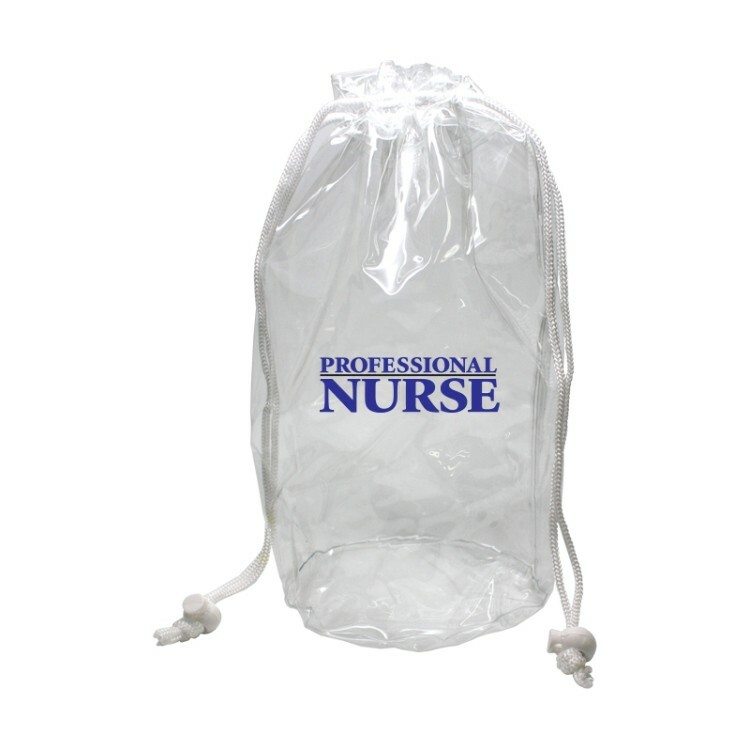 This 210D polyester bag features a large main compartment and front zippered accessory pocket with ear bud port. 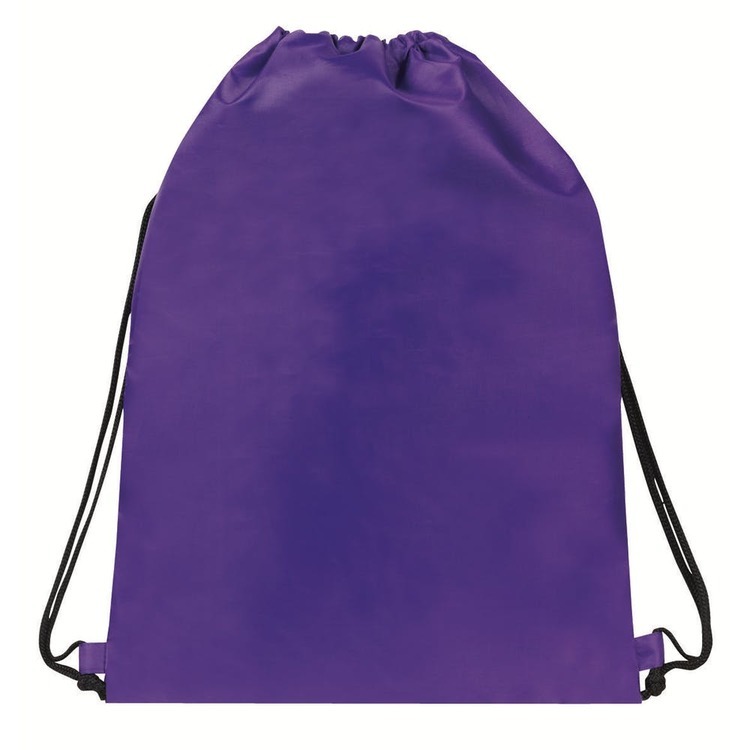 Double drawstrings cinch the bag closed at the top and offer over-the-shoulder or backpack carry. Reinforced corner grommets hold up to long-lasting use. 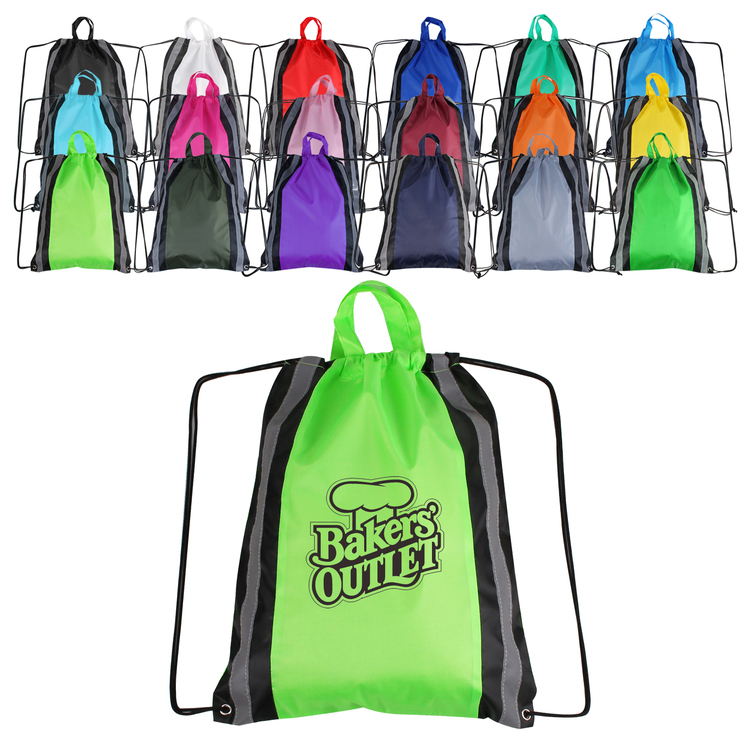 With bright, colorful bodies available blue, lime green, black, orange red and more our wholesale backpacks are sure to make your logo stand out. Shipping to a US zip code is included in the price. Shipping time is 5 business days.It complies with Prop 65. 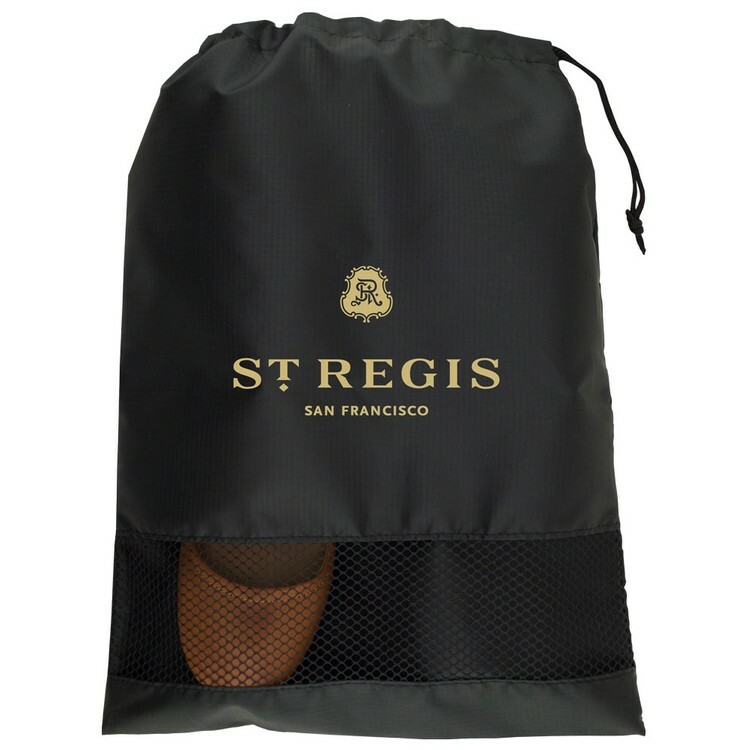 Clear drawstring bag convenient for many uses including amenties, toiletries, cosmetics, small toys, etc., Ideal for travel security clearance. Decoration: W 2.5" x H 3"
Available Colors: Black Lime Green Royal Red Purple Orange Customer can pick any single color.